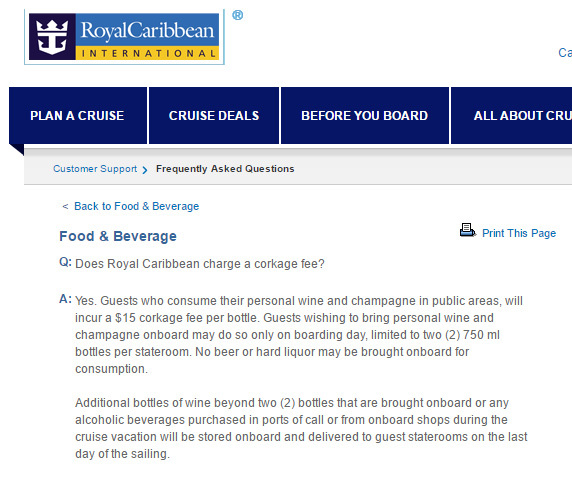 Royal Caribbean has apparently brought back the corkage fee for wine and champagne guests bring onboard. 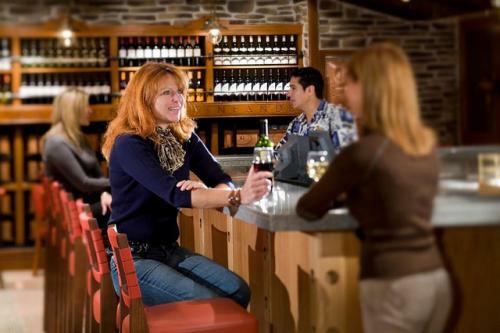 According to the Royal Caribbean website, as well as reports from guests on ships sailing this week, there is a $15 corkage fee per bottle of wine consumed in public areas. Guests wishing to bring personal wine and champagne onboard may do so only on boarding day, limited to two (2) 750 ml bottles per stateroom. No beer or hard liquor may be brought onboard for consumption. Hi, Michael. Yes, the fee will apply. Royal Caribbean removed its corkage fee in 2014 after previously charging it for many years. UPDATE: It now appears that the corkage fee only applies to wine brought onboard on embarkation, and not wine purchased and/or given on board. This only applies to personal bottles brought onboard on embarkation day.